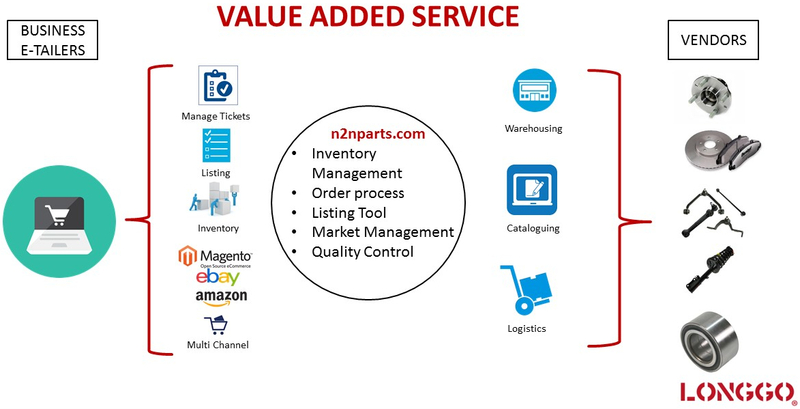 n2nparts is a technology platform that brings auto part suppliers and online sellers together. It consists of four portals: Vendor, Warehouse, Business E-tailer and Longgo Admin. Vendors can automatically upload inventory data to n2nparts daily. Warehouses can view real-time orders and generate packing lists accordingly. E-tailers can process orders via n2nparts as one entrance to all online portals, including Amazon, Ebay and other webstores. Vendors and warehouses log in to n2nparts.com and print summarized pick list and packing list.